Information System is quite a broad area of study that mainly refers to computer-based technology. When using the term, people are usually refers to the process of acquiring data, storing it and performing various data analysis. However, even from a first sight, it seems that there are similar lines between computerized information systems and another very complex "information system" - the Human Brain. Most of the brain researches todays tend too look at the human brain as nothing but a very sophisticated and extremely complicated computer… the computerized ability of the brain is so that until now the largest and fastest computers in the world can not imitate even the 1 years old child brain capability.. The secret is that the brain doesnt contain only one processor but billions of them that works in parallel. The human brain contains about 10 billion nerve cells (10^11). On average, each neuron is connected to other neurons through about 10,000 synapses. In that way the brain's network of neurons forms a massively parallel information storing and processing system. This contrasts with conventional computers, in which a single processor executes a single series of instructions. In the brain each neurons is actually perform as an independent computer hence be able to sore amount of data and able to effectivelty analyze the environment. In here, I will try to stress out some of the similarities and differences of the charachteristics of and termonilogy that is being used in computerized information systems with that being used in Neuropsycology and Psychophysics. I chose to specifically focus on Memory. 1)Computation - Perform high-speed, high-volume, numerical computation. 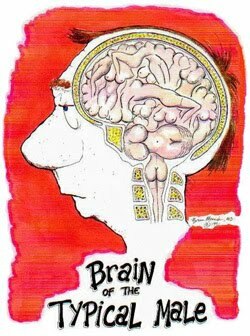 So is the human brain.. In terms of the functions, both are used for mathematical calculations, carrying out complex algorithms and to storing of crucial information. 2)Communication - Provide fast, accurate, and inexpensive communication within and between organizations. The brain submodules provide parallelic computation beetween each module. 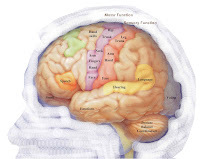 The human brain contain module/specific area for categorized information and specific analysis processes. For exampla, there are specific areas for producing movements, sensing touch, producing speech or visualizing objects. Since the information about the world is stoered in our memory the memory it has to be stores in a very efficient easy to retrieve way. There are evidence for the brain to codifed and store the ïnformation"in semantic folders. 3)Automation - Automate both semiautomatic business processes and manual tasks. Riding a bike, driving a car, eating breathing walking.. Most of our daily motoric procedures are unconscious. That means that the required sequences or programs are somehow already coded in the brain. 4) Storage - Store huge amounts of information in an easy-to-access, yet small space. Storage of information in the brain is done by strenghening synaptic connections, activation of specific areas for short time (Short term memory), or morphological changes in the neurons structures (long term memories). There are evidence that the information is codified in a kind of "semantic folders" that are situated in the same brain structure/area. Famous example is of a category specific deficits following a brain seizure. 5) Access - Allow quick and inexpensive access to vast amount of information, worldwide. The brain needs only sandwiches and cup of coffee and it works! 6) Knowledge - Facilitate the interpretation of vast amounts of data Enable collaboration anywhere, any time. 7)Competitiveness - Increase the effectiveness and efficiency of people working in groups in one place or in several locations, anywhere. I.e. A computer consists of many many parts, including a motherboard(which itself would is made up of many parts), the disk drives, the processor, graphic cards and many more ... all of which has its own roles in the computer's processes. Like a computer, the brain is formed out of parts. Besides having the left and right hemispheres, there are also parts of the brain that take care of emotions, mathematical calculations, body CO-ordinations and many other tasks needed for our daily activities. i.e. A computer works by using binary ("on"/"off" logical signals known as "bits", put together as "bytes" to represent data.) To communicate internally between components, represent information and store data. In a way, neurons in the brain are either "on" or "off" by either firing an action potential or not firing an action potential. The face that the brain operates by using a "simple"electrical current has a in electrical stimulation techniques (see one of my next blogs). i.e. When any computer gets outdated, there are always options To upgrade, parts To replace faster newer models To choose from. The brain of modern man is found To be significantly larger than those of 1.7 million years ago. So.. what are the differences? The first and probably the most importatnt difference in my opinion is the Brain plasticity. The brain, unlike any computer or network, have a miraculous ability to compensate and change his modules activiry after damage. This unique charachteristics - Brains plasticity - is not fully understood and a subject to extensive research. In contrast, most programs and engineered systems are brittle: if you remove some arbitrary parts, very likely the whole will cease to function. Despite the progess in artificial intelligence there are still a lot of areas where it has been difficult to replicate the thinking process of the brain especially in behavarioul thinking. With regards to memory the ability I find the ability of the brain to selectively decide which information to store and discard amazing.